Why would I need self storage in Ft Lauderdale, FL? There are a variety of reasons why you might need self-storage in Ft Lauderdale, FL. How much is a storage unit in Ft Lauderdale, FL? The cheapest storage unit in Ft Lauderdale, FL is $28.00 per month. What size storage units do you have available in Ft Lauderdale, FL? In Ft Lauderdale, FL we have sizes that range from 5'x4' to 20'x20' to suit your storage needs. How much is it for a 5'x4' storage unit in Ft Lauderdale, FL? The cheapest 5'x4' storage unit in Ft Lauderdale, FL is $47.00 per month. Fort Lauderdale is one of Florida's most popular tourist destinations, known for its sandy beaches, vibrant cultural scene and plentiful shopping. With thousands of restaurants, more than 50 golf courses, several large shopping malls and over 250 park land campsites, the city has plenty to offer residents and visitors alike. Over the past few decades, the greater Fort Lauderdale area – home to a diverse and vibrant population – has been growing at a fairly steady rate. In Fort Lauderdale, plentiful amenities and attractions make it possible to enjoy a high quality of life no matter what your interests and hobbies may be. The city manages to combine the elements of a bustling metropolis and a family-friendly town, making a variety of experiences accessible on an everyday basis. If you're a sports lover, you'll find a number of events and teams to root for in the Fort Lauderdale area. The city is home to the Fort Lauderdale Strikers, a professional soccer team in the North American Soccer League. For professional baseball, football or basketball, you can make the short drive to the stadiums of the MLB's Miami Marlins, the NFL's Miami Dolphins or the NBA's Miami Heat. Or you can explore the International Swimming Hall of Fame, located on the Fort Lauderdale beach. One of the most popular attractions in Fort Lauderdale is the Florida Everglades, easily accessible from the city's beach areas. There you can explore the natural habitat of many of Florida's well-known wildlife and take guided tours to learn more about the area. 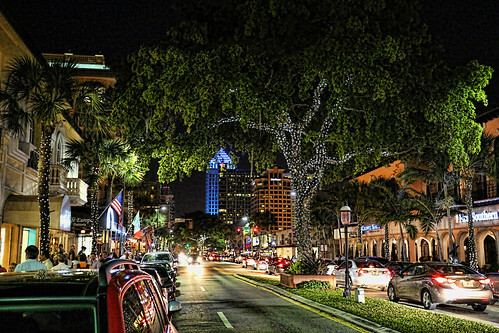 Shopping is another top amenity in Fort Lauderdale, with unique retail districts and malls, like the Riverwalk Arts and Entertainment District and Las Olas Boulevard. Although one of Fort Lauderdale's earliest claims to fame was as a college spring break destination, it has since transitioned to a high-end tourism hub, serving as an important port for cruise ships and yachts. The city is also host to a number of national conventions, which further fuel its tourism industry. If you're planning to be on the job hunt in Fort Lauderdale, tourism sectors including hospitality, retail and food service are an excellent place to start. You can also consider jobs in boat manufacturing and maintenance. Over 100,000 jobs in the county stem from the boating industry alone, due largely to the area's numerous canals and easy access to the ocean and nearby islands. Fort Lauderdale's largest employers span a diverse range of industries, making a variety of jobs available in the area. Citrix Systems, AutoNation, Spirit Airlines, DHL Express, Tenet Healthcare and American Express provide thousands of jobs in the area. The public schools of Fort Lauderdale fall under the jurisdiction of Broward County Public Schools. You'll also have a variety of options for a private school education for your children, with several campuses located within city limits. Several institutions of higher education have main or satellite campuses in Fort Lauderdale, including Florida International University, Jersey College, City College and Florida Atlantic University. Utilities: Florida Power & Light (FPL) is the city's central energy provider. The city facilitates public water and sewer services. Garbage and Recycling: You can expect regular collection of your trash and recyclables in most residential areas of Fort Lauderdale. Transportation: The Broward County Transit System manages the area's public bus network, providing connections to other major transit in the county such as Palm Tran and Metrobus. Auto Tags and Registration: If you're new to Florida, you must register your vehicle within 10 days of getting a job, registering children in school or establishing residency. Flood Information: Because of the coastal location of the city, many homes in Fort Lauderdale are required to hold flood insurance. You can visit the city website to learn more about your flood insurance responsibilities. Fort Lauderdale is home to a number of neighborhoods, each one with a distinct identity and personality. If you're looking for an area with extreme walkability and easy access to cultural highlights, consider living downtown. If you'd like more green space than a condominium can offer, Victoria Park has some stunning homes just outside the city. Harbor Beach is an affluent neighborhood right on the water, with perks like a private beach club and marina. For restored historic homes, head to Colee Hammock, while Rio Vista is a popular choice for families. The median home price in Fort Lauderdale is higher than the state and national averages, but the housing market provides a wide range of options that makes it easier to find something that fits your needs. Our lowest priced units in Ft Lauderdale, FL average $66.18 per month. 1811 people have reserved units in Ft Lauderdale, FL in the past 30 days. There are 22 locations within Ft Lauderdale, FL's city limits. There are 18 locations in Ft Lauderdale, FL that offer AC and Heating features.